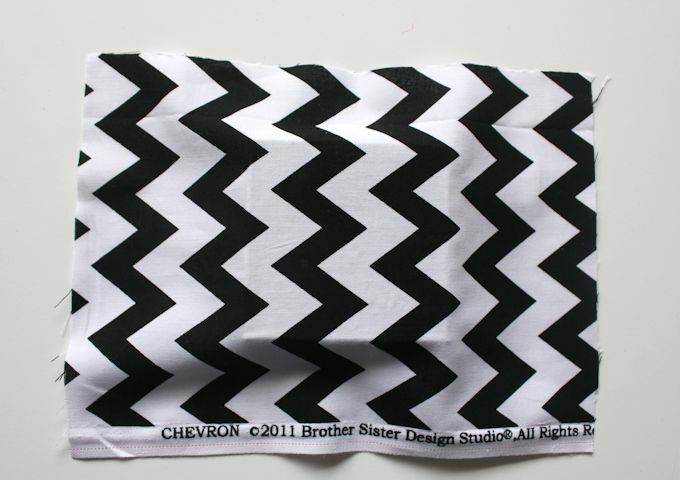 Do you have a lot of fun fabric lying around and you’re not sure what to make with it? 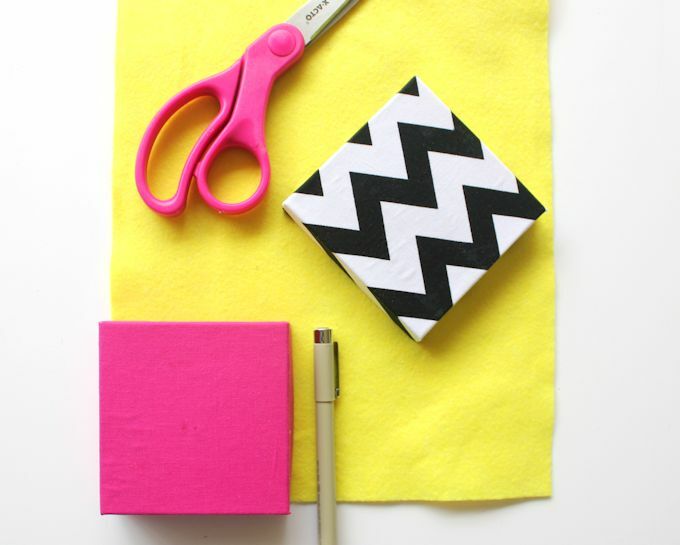 Maybe you have some cute scraps leftover from another project. Or maybe, like me, you can’t resist buying weird shaped cuts of pretty fabric in the discount bin at the craft store. 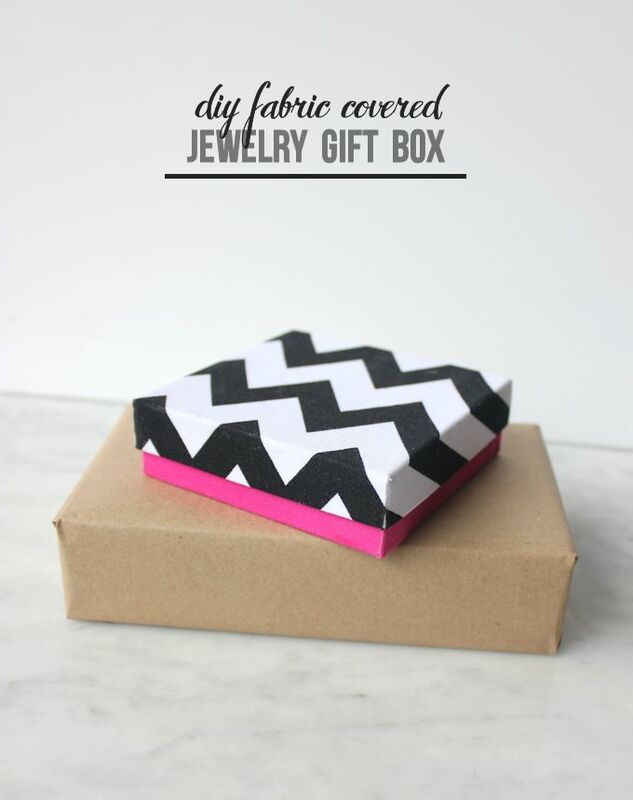 These fabric covered jewelry DIY gift boxes are a perfect scrap busting project. You can tie a little bow around the top and use this handmade box to give a special gift, or you can just make a few to store your own jewelry in and add a little more color to your dresser. 1. 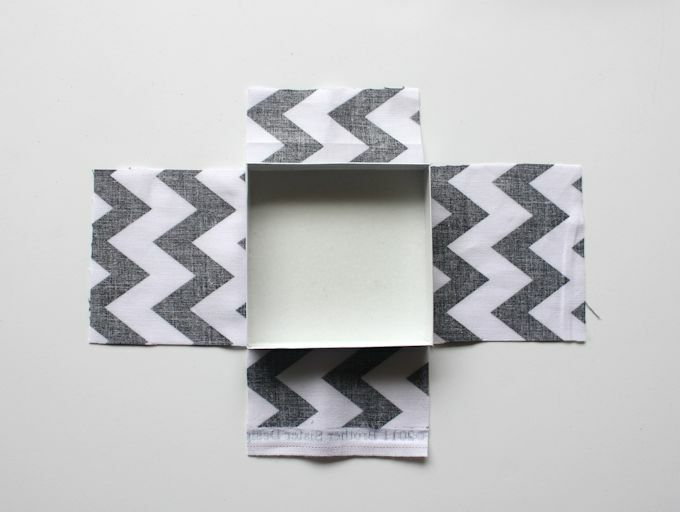 Start by cutting a piece of fabric that will cover the top or bottom or your box. Make sure you leave extra room to cover the sides. 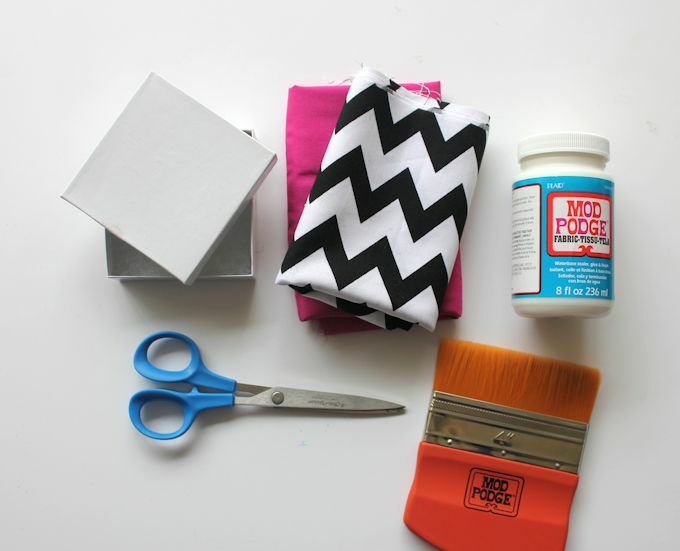 Dab a medium coat of Fabric Mod Podge over the top of your box. 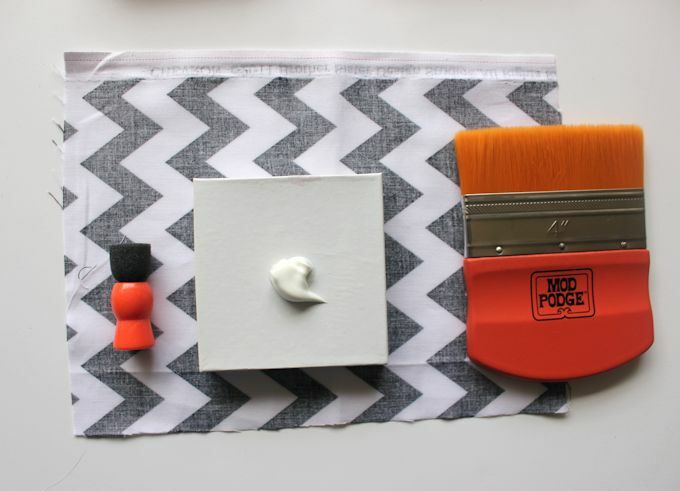 You could also use regular Mod Podge, but the Fabric Mod Podge has a thicker texture that seems to soak into the fabric well. 2. Place the fabric on top of your box and press down so that the fabric is smooth and there are no bubbles. 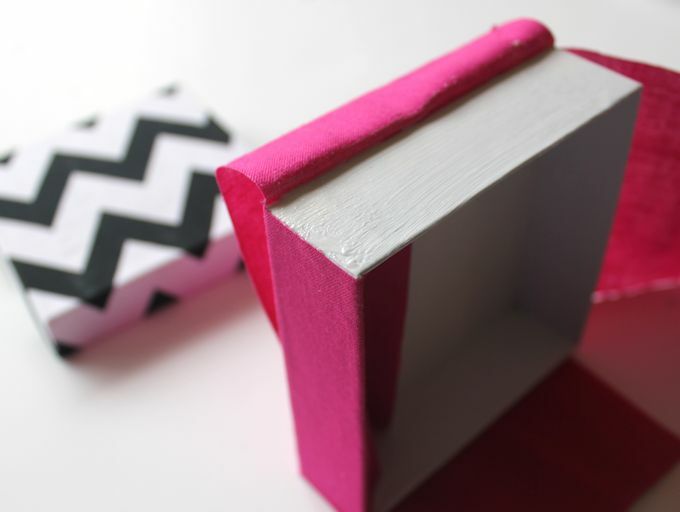 I wanted the box to feel like fabric, so I did not add any Mod Podge on top of the fabric. 3. As this is drying, flip the lid over and cut carefully along each corner of the box as shown in the picture below. 6. Since I wanted the box to feel like fabric, I didn’t add any Mod Podge to the outside of the fabric. I did, however, go back and add a very small amount of Mod Podge along the edges and corners to prevent fraying. Make sure you give the box ample time to dry before you put the top on the bottom. 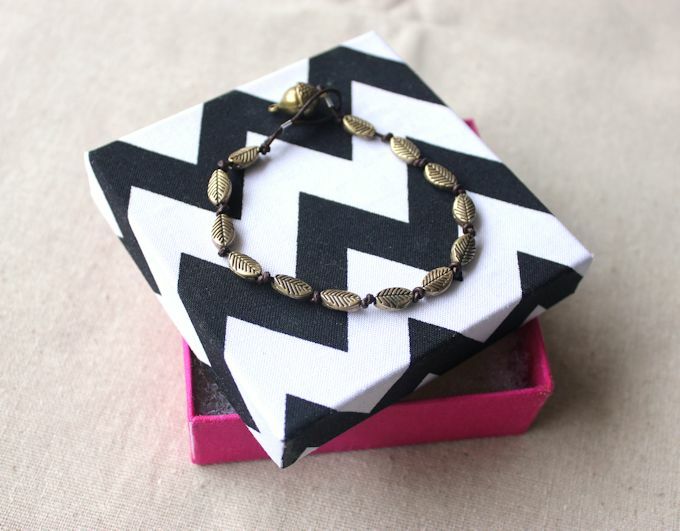 What’s great is that you can cover any sized box in fabric and use them to give jewelry, like this handmade knotted leather bracelet. 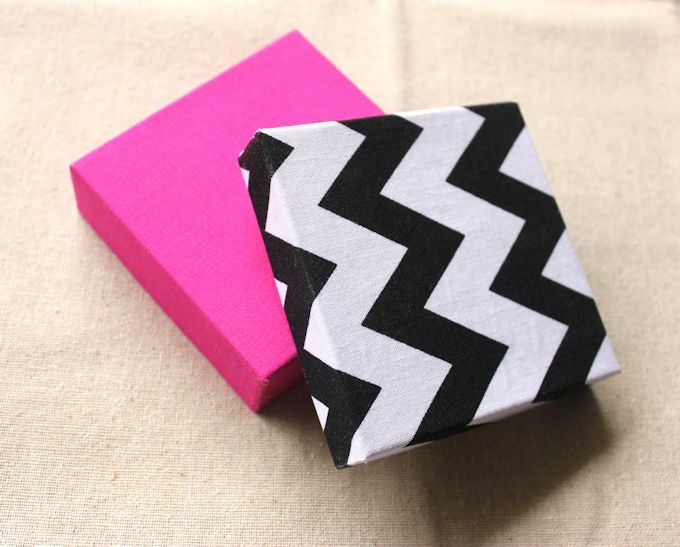 You could also use seasonal colors and fabrics for special occasions like Christmas, and even use these little fabric covered boxes to give other items like gift cards. Oh I love this. I never thought of adding material, I’ve always just done wrapping paper. Thanks Angela! I love how the box feels like fabric! Plus, it’s a great way to use up those scraps of fabric I’ve been holding onto.